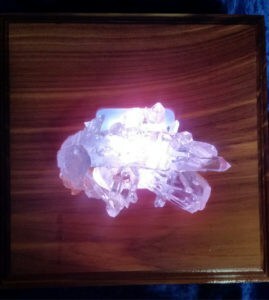 Handcrafted Lighted Crystal Display boxes! 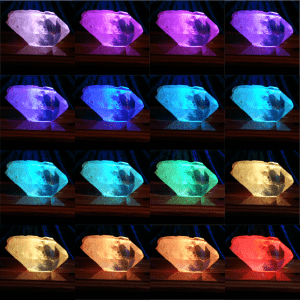 Illuminate and display your favorite crystal! 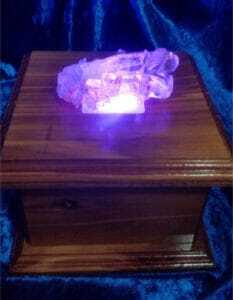 Display your favorite quartz crystal point or cluster on a lighted crystal display box. Excellent for interior decorating, design, collecting, and illuminating healing energy. These boxes are meticulously hand crafted out of cedar or stained clear pine. They have a remote controlled LED light inside. The light has 16 colors, 4 fade functions and are “dimmable”. When turned on, the crystal gives off a loving glow. Rainbows and inclusions become more pronounced. This is truly a beautiful way to display a crystal and to experience the healing energy emanating from it. 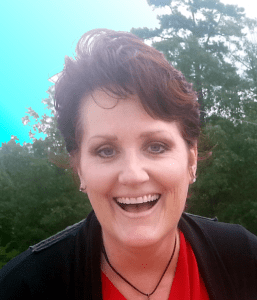 These handcrafted lighted crystal display boxes are meticulously hand crafted by my partner Patti. Made out of either cedar or stained clear pine (see individual box for wood type and/or stain color). The size is about 6 x 6 inches, but varies, see specification on each box for exact measurements. 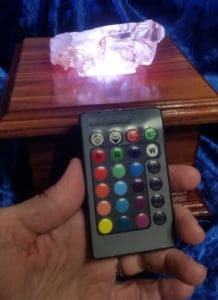 The LED light can be set to fade through all the colors or you can choose a single color at a time. The image to the left is an example of all the colors the single LED light is capable of producing. Making the boxes is quite a process from start to finish. To learn more, click here to read a full blog post about these wonderful display boxes and how they are created! 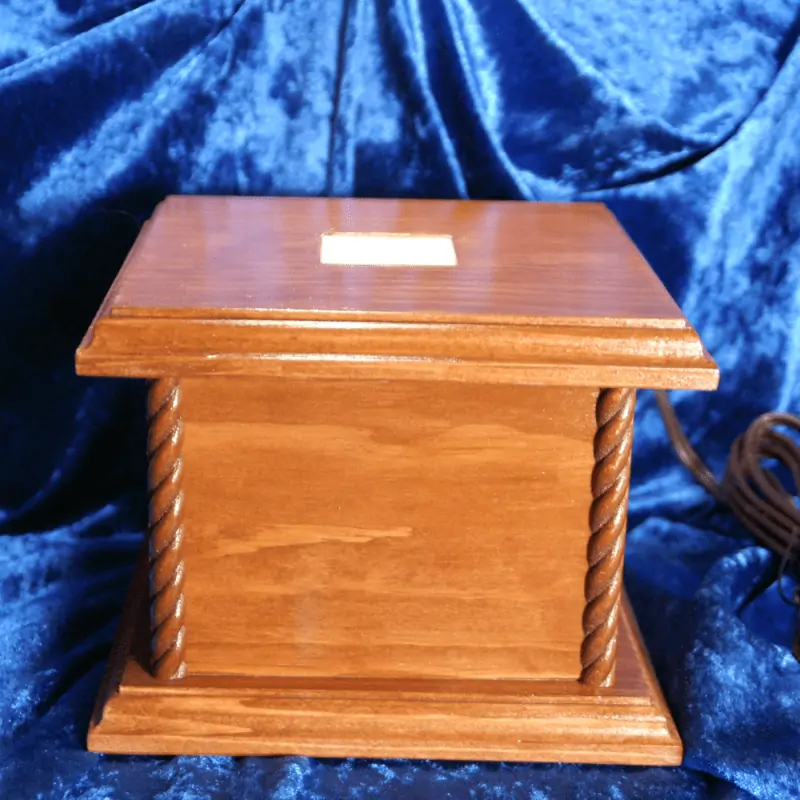 Lighted display box, 6.25" square, clear pine with Red Chestnut stain. Lighted display box, 6.25" square, clear pine with Rosewood stain. 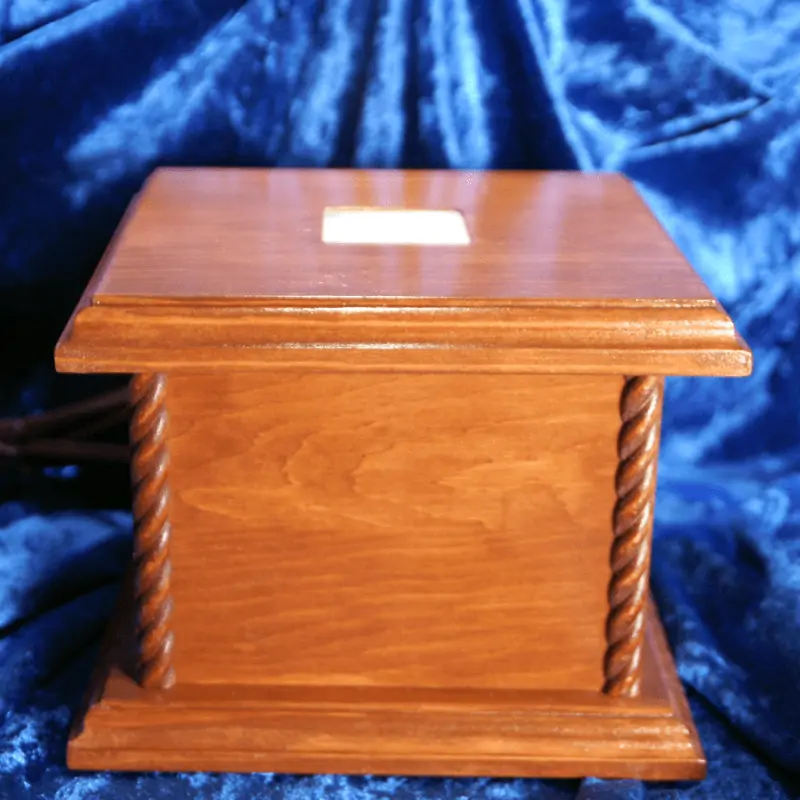 Lighted display box, 6.25" square, clear pine with English Chestnut stain.